Check out the Unity GDC 2019 keynote without ever leaving your home right here at Shacknews. GDC is in full swing, but evenif you're sitting at home comfortably in your easy chair, your can still check out some of the events talking place there. 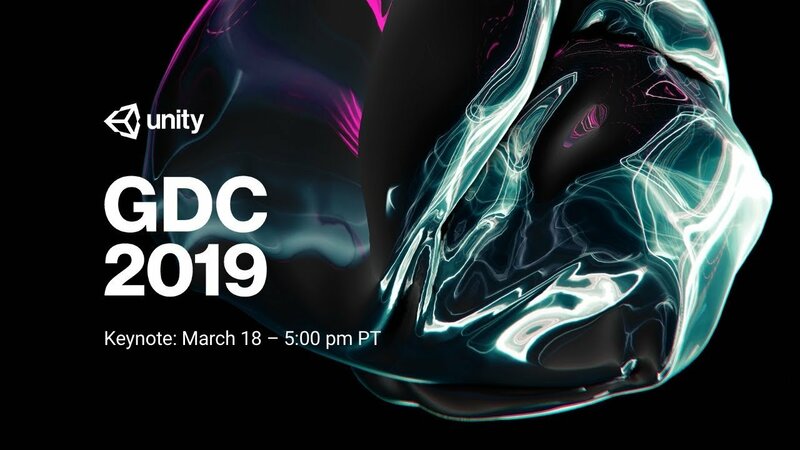 The Unity GDC 2019 keynote is taking place at 5pm PT on Monday, March 18, and you're invited – through your computer, of course. The keynote, streamed live via YouTube, will focus on the newest Unity innovations, including everything developers need to create, operate, and monetize their ideas both now and in the future. There are a variety of announcements coming, including special reveals that will revolve around Unity's runtime performance, and its graphics. There will be several speakers during the keynote as well, including Timoni West, Director of XR and/or Dan Miller, XR Evangelist, Mike Acton, Principle Engineer, Ralph Huawert, Director of Development, and Natasha Tatarchuk, Vice President of Graphics. West and Miller are leaders in XR, and will chat about trends in the world of XR. Acton is one of the proponents of Data-Oriented Design, and heads up a team dedicated to "Performance by Default." Huawert is working on Project Tiny, or Unity's smaller and faster runtime to help games load quicker. Finally, Tatarchuk is working on Unity's rendering models. There's a lot going on this week at GDC 2019, and much of it can be viewed online. Be sure to keep it locked here on Shacknews to catch the upcoming Unity GDC 2019 keynote this evening, and keep coming back for more news and announcements straight from the show floor. We have folks on the ground at GDC 2019 bringing you all the coolest updates there are to offer from the show, so don't fret about missing a thing. You know the friendly neighborhood staff at Shacknews has you covered, no matter what you're looking forward to. Trust us.